Of those who responded, 40% said April Fools’ Day fake releases have always been a dumb idea; 24% said it’s fine, but just prepare for the blowback; 22% said go ahead and do it, people will get the joke; and 14% said it’s a silly tactic in this era of fake news. Here are five brands and a PR firm that didn’t wait for the results of our poll and went ahead with an April 1 stunt anyway. On April 1, the car brand is launching the revolutionary Polite Horn to introduce a little more decorum and proper politeness to our roads. They might just be onto something here, all jokes aside. Retro jokes! T-Mobile is bringing back the phone booth with its new "invention" called the T-Mobile Phone BoothE. Customer pain points come in all shapes and sizes!! For instance, trying to talk to someone on the phone when there’s non-stop noise all around you! ?????????? Well turn that frown upside down and say hello to the NEW @TMobile Phone BoothE ???? The stock photography and clip provider is unveiling a brick and mortar version of their online stock library. Apparently, (nudge nudge, wink wink) the company built the world’s largest physical library in Brooklyn, New York, to hold more than 250 million volumes of water-marked imagery and tons of film reels. On April 1, SmileDirectClub is announcing a new line of products, including canine aligners that straighten your dog’s teeth three times faster than traditional braces; flavored aligners you can taste all day long; and Bluetooth aligners for "tooth-based communications." 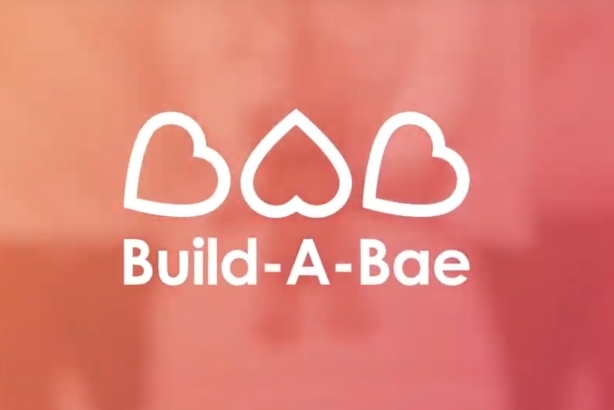 The retailer, known for selling teddy bears and other stuffed animals and characters, has created a "Build-A-Bae" dating app. The brand said the idea was inspired by Build-A-Bear’s classic "build-a" model, but lets customers create a profile for themselves and for their potential soul mate. To help users gain a deeper understanding of what they are looking for in the perfect match, the platform uses a proprietary algrrrrithm that applies tried and true bear-building science to the complexity of relationship chemistry. In a video featuring CEO Scott Allison, Allison+Partners revealed a series of new perks to attract recruits, including: A 6-foot-tall, chocolate fountain in each office; assistants to feed employees grapes; a room where you can hug fuzzy sloths to the sounds of classical music; a policy allowing staffers to bring their kids to work every day; and twice yearly trips for the entire staff to the North Pole.